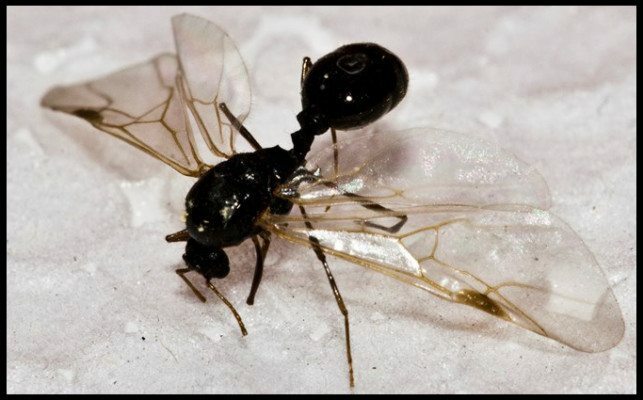 Home / Modern Pest Blog / Is that a Termite or a Flying Ant? Is that a Termite or a Flying Ant? Now that we are finally experiencing all of the glory of spring, with warmer weather, buds and blossoms blooming and flying insects swarming…wait, what? That’s right, spring also brings swarming insects like termites and flying ants. 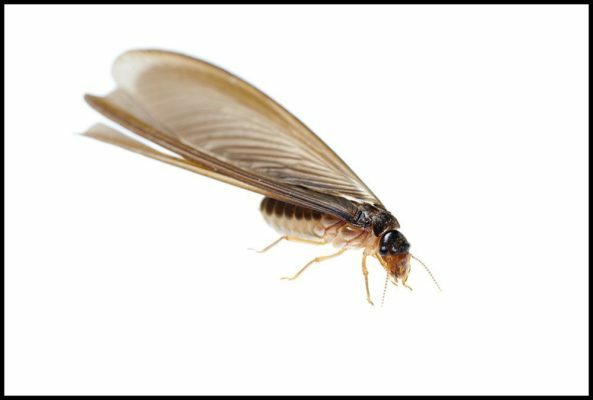 Termites, though, will silently eat their way through your home, undetected for years, causing serious damage that is not covered by most homeowners’ insurance. So how can you tell the difference? will have a straight waist, straight antennae, and their wings are equal in size. will have a pinched waist in the middle, with bent antennae and two sets of wings. The top set being larger than the lower set. Still not sure? The diagram below illustrates further how to spot these key differences. The most likely termite that New Englanders will encounter is the subterranean termite, which is creamy white to a dark brown in color and about ⅛ inch long. As their name suggests, they live underground or in the moist timbers and regions of your home. 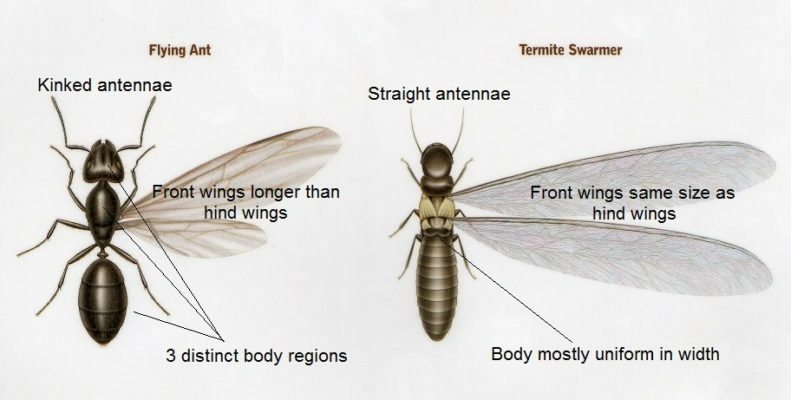 A key indicator that you have subterranean termites in your home, will be the formation of “mud tubes” created by termites to allow them to gain access to other locations, and remain protected from the dry open air. If you think you have identified termites in your home, consider it time to call Modern Pest Services. 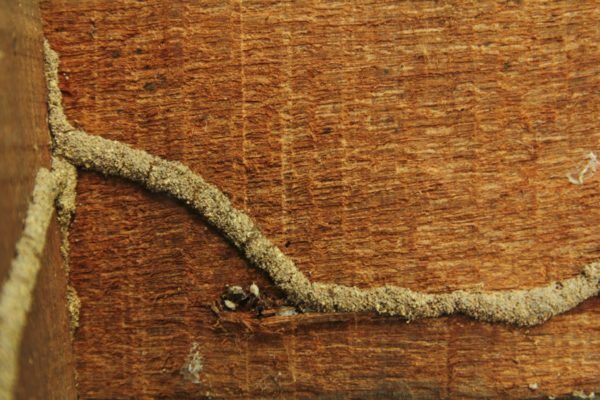 Termites can destroy structures quickly, and we all know the golden rule – it’s better to be safe than sorry. A Modern Pest professional can do an inspection and determine the level of infestation, areas of damage, and create a very specific, environmentally friendly and effective program for your home. Modern Pest will even give you a FREE no-hassle termite quote right over the phone, call 1-888-997-3312.